Walter Salles was born in Rio de Janeiro in 1956 and spent his childhood in France and the United States before returning to Brazil at a teenager. In the late 1980s, he began his career as a filmmaker with musical documentaries (Chico – O País da Delicadeza Perdida, Marisa Monte…), before turning to fiction in 1991, with the thriller A Grande Arte. After this first feature, about a photographer’s search through the seediest parts of Rio for the murderer of one of his models, Walter Salles co-directed Foreign Land (1996) with Daniela Thomas, a tale of a young Brazilian orphan’s exile in Portugal. The director’s reputation was established in 1998 with Central Station, winning the Golden Bear at the Berlin International Film Festival. The poignant relationship between an old woman and an orphaned little boy is at the heart of this road movie, inspired by his 1995 documentary Socorro Nobre, that shows the often miserable living conditions of the Brazilian population. With his 2001 tragedy, Behind the Sun, the story of a young man condemned to avenging his brother’s death, Walter Salles turned his attention to the blind respect for tradition. The following year he produced Fernando Meirelles’s City of God, an unpretentious chronicle of the daily life of two friends in the Rio favelas. Then he directed another itinerant film, The Motorcycle Diaries, a generous portrait of the young Ernesto Guevara, following him through his formative years on the roads of South America. Hailed by the critics, nominated for several Oscars, the film was presented In Competition at Cannes in 2004 before its hugely successful worldwide release. His next film, Dark Water (2005), a remake of a Japanese horror film with John C. Reilly and Jennifer Connelly, was a successful incursion into the genre, after which he made one of the short segments for Paris, je t’aime. Walter Salles returned to a more intimate vein in 2008 with Linha de Passe, which once again earned him the honour of a presence at Cannes. Walter Salles during the taping of his 10 questions interview. 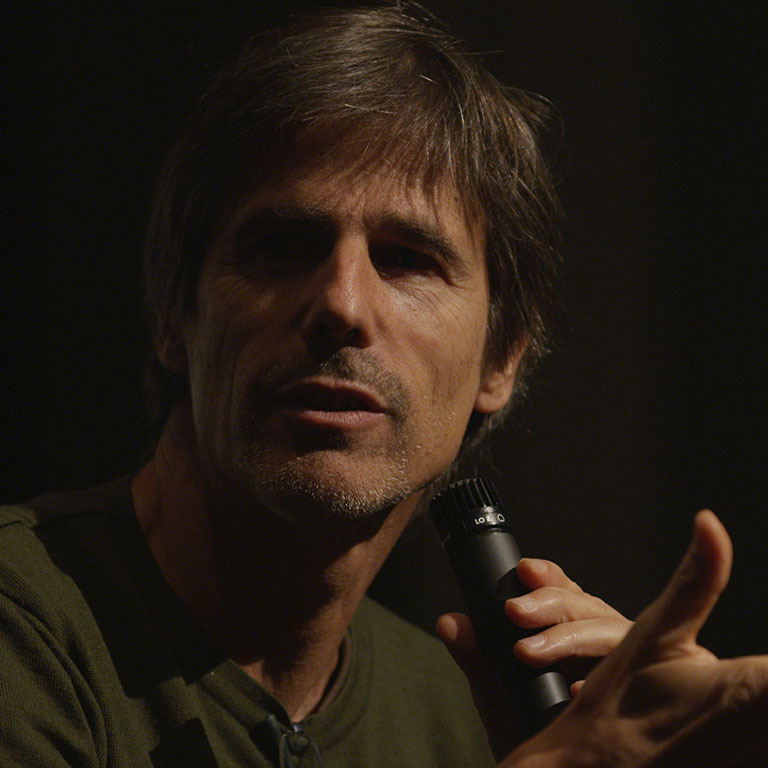 Walter Salles on stage at IU Cinema during his Jorgensen Guest Filmmaker event.